The Vaughan Evans Library is the research library of the Australian National Maritime Museum. Located in Sydney's Darling Harbour the museum is Australia's prime resource for maritime history. The museum's mission is to bring maritime heritage to life and preserve it for future generations and in 2004 the library began a digitisation project as part of it's collection preservation plan. 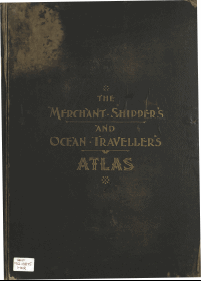 These important items from our collection include ship registers, journals and rare books. Digitisation not only helps us preserve the originals but opens them up to a wider audience of researchers and to new ways of research. Access the Full Archive from the button below which has all the titles we have added so far. Alternatively, you can also view resources by category and select individual titles. Author British India and Queensland Agency Co. Publisher Australasian United Steam Navigation Co. Author Burns Philp & Co. Author Griffin, James, fl. 1900. Publisher London : W. Mitchell. Publisher Marine Underwriters' and Salvage Association of Victoria Ltd.